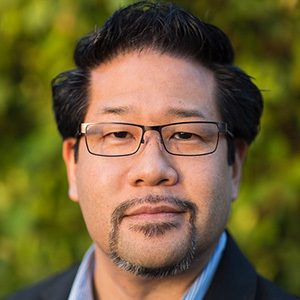 Gregg Katano is a media entrepreneur, solutions architect, speaker, and educator with over 25 years of experience in the areas of production, visual effects, stereoscopic 3D, and virtual reality. Currently, he is Partner and Vice-President of Strategy and Growth at Hologate, the world’s most successful turnkey location-based virtual reality system; and General Manager and Vice-President of Business Development of Phase Two, a curated co-working and event space for frontier tech, media & entertainment. Gregg has become one of the leading evangelists in the VR and techcommunity, speaking at over 60 virtual reality and technology conferences both domestically and internationally since 2016. He is also partner of the Virtual Reality Festival and VR Arcade, and VR Ambassador of Sir Richard Branson’s ‘Extreme Tech Challenge’. In the area of education, Gregg is a member of the advisory council of the Cal State University Entertainment Alliance, a collaboration between the 23 universities within the CSU system and entertainment industry leaders that helps to prepare students to serve the entertainment business. He regularly speaks to art and digital media students at various universities including Pepperdine, USC, and UCLA, and he was a former senior instructor in the Digital Media department at Otis College of Art & Design, in Los Angeles. Previously, Gregg was Chief Business Strategist at the very first and leading Google-Certified producer of ‘Google Cardboard’, and one of the early producers of stereoscopic 3D, producing the very first 3D television broadcast in high-definition, and senior 3D producer on X-Games 3D: The Movie, and Red Bull Media House’s first 3D production, ‘Rampage 3D’. He has also been a member of the Producer’s Guild of America since 2010.